There should be something truly magical about your first holiday together as a couple. It’s likely to be the first time you’ll spend so many hours in close proximity, so it ought to be the most enchanting of experiences – an opportunity to make some beautiful memories that you’ll never forget. Of course, choosing the perfect destination for such a momentous occasion is never going to be easy. You want somewhere that has transcendental sunsets, romantic restaurants, and beautiful backdrops, and lots of places simply don’t make the cut. Dubai is decadent, dazzling, and genuinely drop dead gorgeous, which makes it the perfect destination for those who want to organize some truly unforgettable jet-setting dates. To make the most of all it has to offer, we suggest you begin by booking a table at the inimitable 101 Dining Lounge and Bar, located on one of Dubai’s paradisiacal palm-shaped islands. Offering panoramic views of the city skyline, it serves up a delectable menu of Mediterranean tapas and carefully-concocted cocktails that will leave you drooling with delight. Whilst you’re in the city, you should also take the opportunity to travel on a water taxi, or charter your own boat to take you exploring the newly built Water Canal. Be sure to pass the colorful waterfalls as you go full steam ahead, as well as the breath-taking Burj al Arab hotel, before stepping ashore at the Jetty Lounge and enjoy some amazing liquid appetizers. Before you leave, make a point of popping into the opulent Talise Ottoman Spa, to experience the decadent delights of an authentically antique Turkish bath. Cape Town is famed for its beautiful beaches and pretty panoramas, making it the perfect place for organizing some truly unforgettable dates. Whilst there, we suggest you start by making a reservation at the Sidewalk Café. Intimate and informal, this bistro-style eatery has some of the most exquisite views imaginable. Next on the itinerary should be a guided kayak trip off the Sea Point promenade. This will give you the chance to glimpse some of the resident marine life, which includes not only dolphins but cute-as-punch penguins too. Before heading home, make some time to go whiskey tasting at the Bascule Bar. Stocking over 500 bottles, it has one of the biggest collections in the southern hemisphere, and will soon get your taste buds tingling. 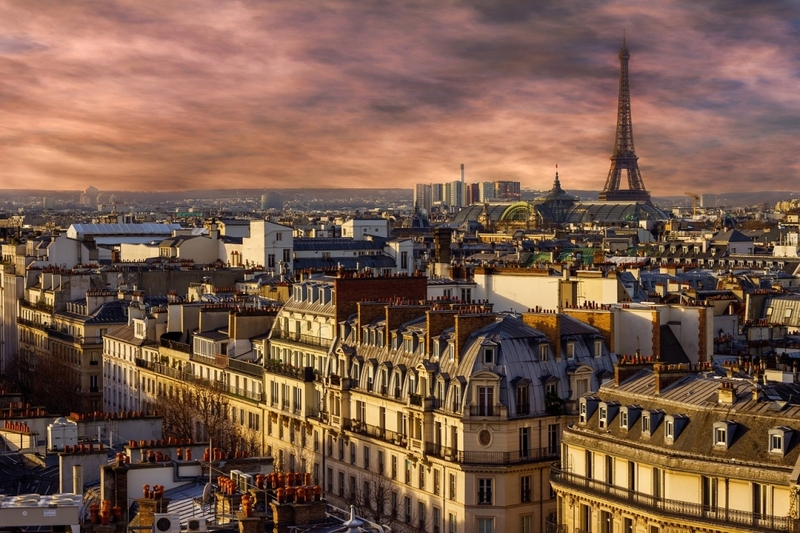 It may be cliché, but what would this list be without the inclusion of the world famous ‘city of love’? Whether your love story began as two amongst the 150 million users dating at Badoo, or was an old-fashioned tale of romance from its very beginning, we’re sure that you’ll be similarly delighted by all that the city has to offer. If you’re looking for restaurant recommendations, then L’Oiseau Blanc is at the top of our list, so be sure to book a table. Located on the top floor of the Peninsula Hotel, it offers the most amazing views of the city, including the Eiffel Tower, illuminated in all of its glory. Whilst you’re there, don’t forget to stop in at the Four Seasons George V, which has some of the most fantastically beautiful flower installations you’re ever likely to see. From there, head to the Avenue Montaigne, to treat your significant other to a dazzling designer present from the likes of Dior, Chanel, or Valentino – all handily located here. Where will you choose to take the one you love? Let us know in the comments below.